On Monday 24th September cheques for €30,000 were presented to Barretstown camp and Our Lady’s Hospital for Sick Children, Crumlin by Brian & Laura Daly. 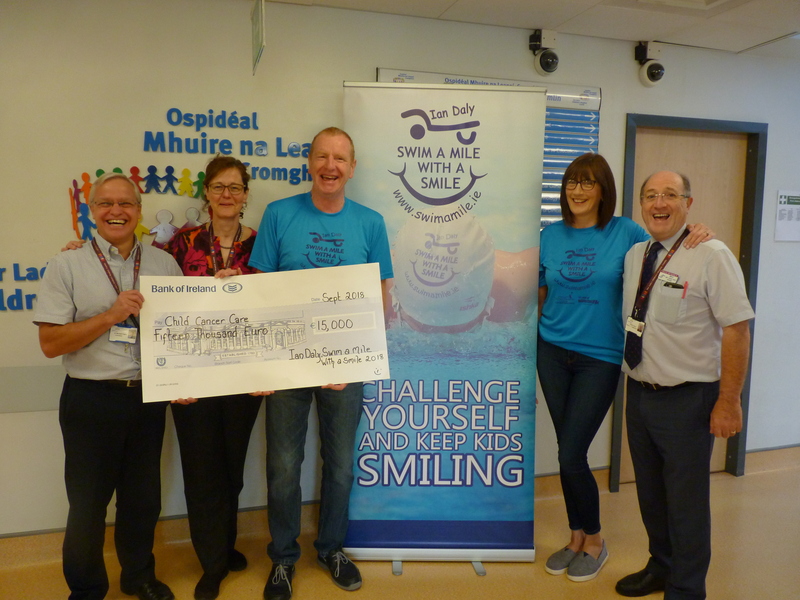 The funds raised were the result of the annual ‘Ian Daly Swim A Mile With A Smile’. 2018 was the 15th year of the swim and in that time the event has raised over €580,000 which has been divided equally between Barretstown and Crumlin. Thank you to all the swimmers who took part and to their generous sponsors. It is through your continued support that the event has continued to run each year. 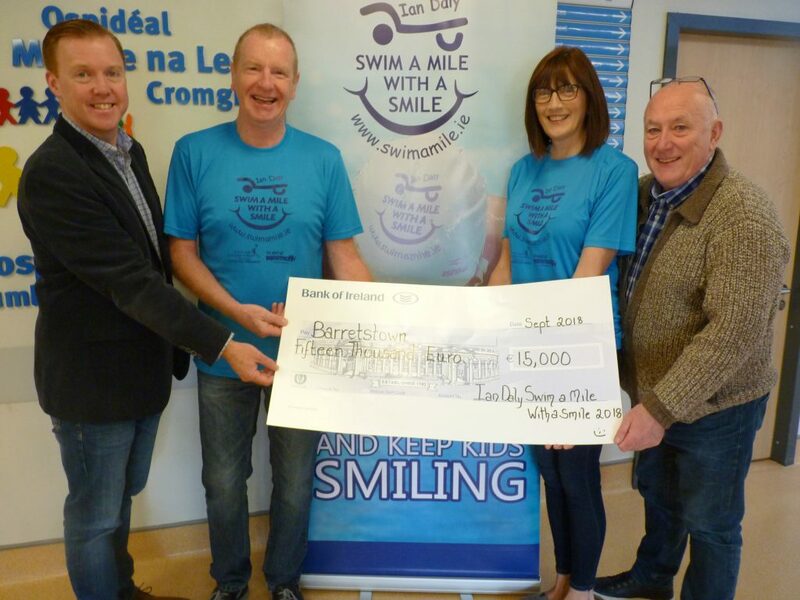 We look forward to the next Ian Daly Swim A Mile With A Smile which will take place in April 2019. If anyone is interested in taking on the challenge and taking part in next year’s event please Contact Us.